My heart is also sore today. I can claim no right to be hurt and indignant, other than that someone who is kind and loving has been treated in the most undeserved way and that they have had to endure pain, heartache and genuine hardship because of this treatment. Rara, I hardly know you and Dave, but I feel your love and kindness through your blog. I am so sad that you have to go through this. I am amazed at your strength and your ability to remain true to yourself. I am spreading a little rawrlove for you. Thank you for sharing your posts and making my life more insightful and loving. 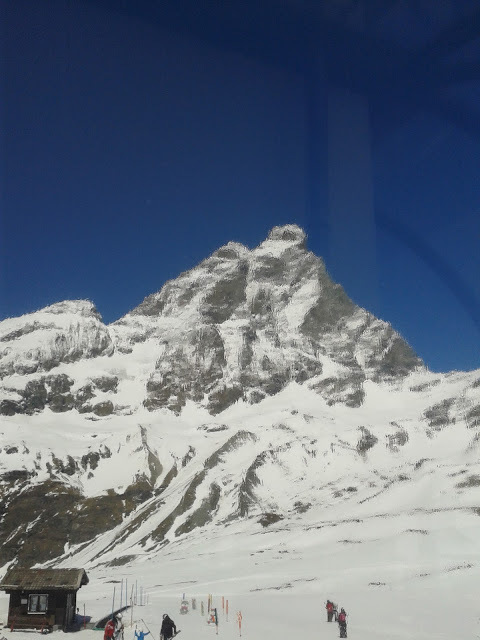 This is Cervino, The Matterhorn to most of the world. Look at the blue of the sky and the pure white of the snow. It has been there for millenia, and will continue to be there for many more. It is beaten by the rain, hail and snow. It is battered by the heavy winter gales. The sun beats down on it in summer. But it is steadfast and remains. It reminds me that Faith, Love, and Friendship will endure. Weeping endures for a night, but Joy comes in the morning. That is my sincere prayer for you and your family. Previous PostAn easy walk in the mountains!